Today, UPS delivered a new toy, from Wolfe’s Camera—my first acquisition there, because everywhere else was out of stock (backordered)—via Amazon. 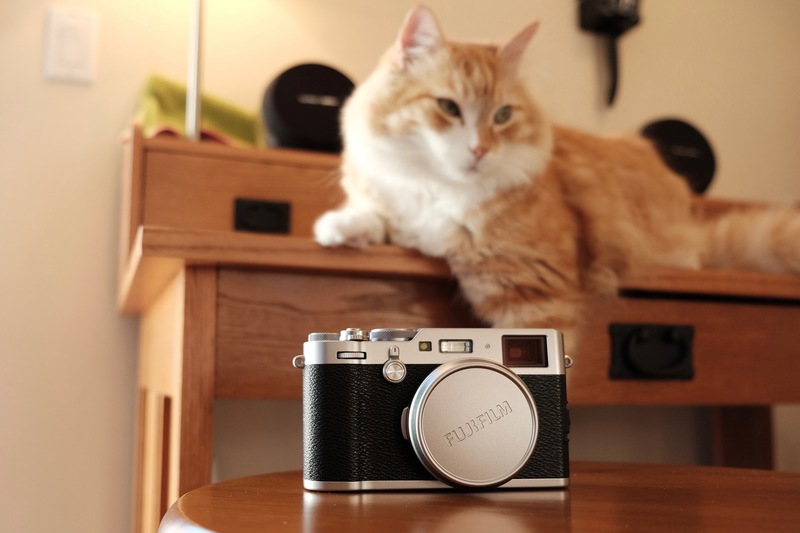 I had originally ordered the Fujifilm X100F on announcement day, Jan. 19, 2017, from Adorama, but foolishly, and accidentally, cancelled on February 16, when the digicam was supposed to release (turned out to be a week later, instead). For now, the new Fuji is companion to the X-T1, which will take secondary street photography role, as I shoot more frequently. Passing of my father-in-law, who required lots more care than either my wife or I would admit, means more available time for other things. Creative endeavors top the list. Additionally, eye surgery last summer rejuvenated my vision, renewing interest in amateur photography and returning me to professional writing. 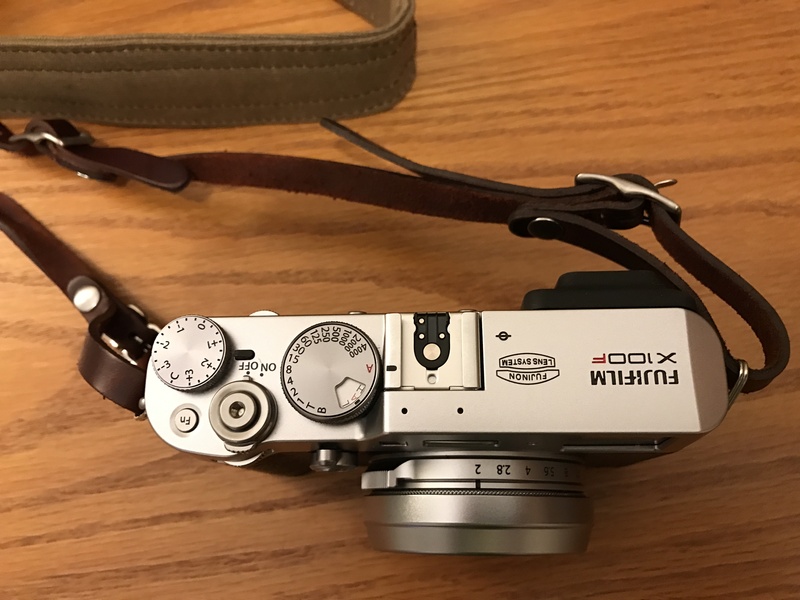 The X100F will be a documentary tool supporting both efforts. That’s not to complain about the X-T1, which is a fantastic dSLR-like mirrorless—to be used whenever I need interchangeable lenses (there are three in my camera bag). I seriously considered buying the Fuji X-Pro2 instead, because of my Fujinon glass, toying with the X-T2, too. Either T flagship packs more capabilities and better manual dials (dedicated ISO, baby). But reviewing older pics, I see better captured moments, even with movement (sometimes especially so), using the original X100, and also the X100T. Both digicams, like the X-Pro2, pack hybrid electronic-optical viewfinders. I often opted optical, which advantages include seeing objects outside the shooting field of view. So primarily for OVF benefits, my choice came down to the new compact or X-Pro2—or sticking with the great Fuji already in hand. So here we are, with also the X100F’s leaf shutter, ND Filter (wonderful for overly sunny San Diego), compact size, and superb, fixed prime lens influencing the purchasing decision. I shot the Featured Image, with Neko in the background, at 4:30 p.m. PST today, using the X-T1 and 18-55mm kit lens. Vitals: f/2.8, ISO 400, 1/60 sec, 18mm. The other pic, captured with iPhone 7 Plus three hours later, shows off the ONA Lima strap. Looks good, huh? Vitals: f/1.8, ISO 100, 1/12 sec, 3.99mm. Obviously, I will write more about the X100F as we get better acquainted.